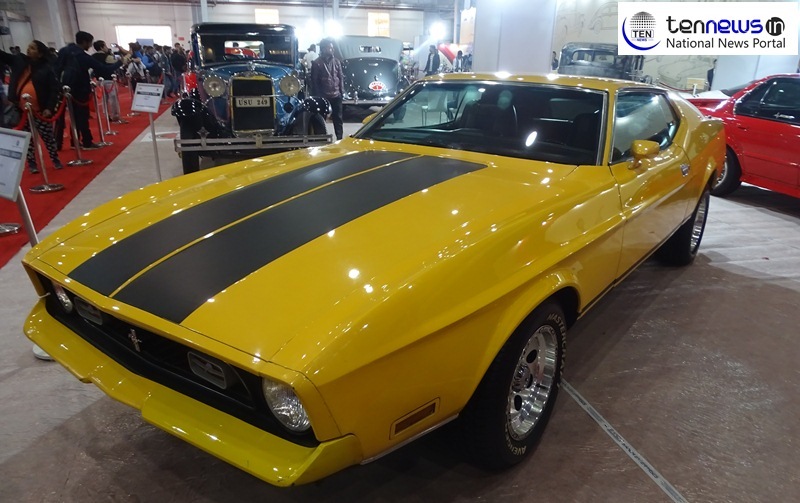 At the auto expo 2018, the Heritage Motor Club of India has put up stalls exhibiting some of the most renowned vinatge beauties of all times. A large area has been barricaded in hall 12 to exhibit the wide collection of these beautiful vehicles at the auto expo 2018. The pavillion has a plethora of vinatge beauties including a Mustang, Cadillac, Bentley, Buick, Excelsior Corgi bike, Royal Enfield from 1920’s among others. The cars exhibited in this area are not just the beauties that ruled the roads not so long ago but also have a very Rick heritage with in them. For example if we talk of the 1935 Auburn, Boat Tail Speedster 851. A total of 147 Speedsters were made between 1935 and 1936, and Titus says this one was owned by a nobleman in Tamil Nadu and used as a wedding car. It was acquired by Titus from the automotive historian maharaj Manvendra Singh of Barwani. So you can catch a glimpse of history and wish indulge in the yesteryear’s automotive luxuries, it’s time to head to pavillion 12 of auto expo 2018.